Costume design as a profession is a twentieth-century phenomenon. Until the end of the nineteenth century, costumes for popular entertainments were assembled piecemeal, either by the director, the actor-manager or by the patron. Repertory companies were the norm in the nineteenth century, and it made sense for a company to maintain a stock of costumes that could be used in multiple productions. Individual actors, working with more than one company, might travel with their own costumes-a practice that continues in the twenty-first century among opera singers. Exceptions to the piecemeal approach include entertainments devised by artists during the Renaissance and the court masques designed by Inigo Jones in seventeenth-century England, but both are rare examples of a unified vision. The end of the nineteenth century saw a shift from companies of actors performing a rotating repertoire of plays to stand-alone productions with actors hired specifically for each role. With actors moving from show to show, it didn't make economic sense for producers to maintain a large wardrobe inventory. Simultaneously, a heightened interest in realism called for specialists with the ability to reproduce accurately clothing of the past. Enter the designer. An article in the New Idea Women's Magazine says that by 1906 theatrical costume design firms flourished in most major cities. Some, like Eaves or Van Horn's, in New York and Philadelphia respectively, began as manufacturers of uniforms or regalia and expanded into the theatrical market. By contrast, Mrs. Caroline Siedle and Mrs. Castel-Bert, both in New York, established their ateliers specifically to cater to the growing theater industry. Producers hired these pioneering designers at their discretion. They were under no obligation to commit to the services of a designer and many preferred to rent existing costumes. For a modern dress show, leading actresses might commission their dressmaker, while minor players raided their closets. Two events changed that. The actor's strike of 1919 put an end to the practice of performers providing their own wardrobes. Thereafter, producers were required by contract to supply costumes for everyone. Then, in 1923, the stage designers unionized. As part of the collective bargaining agreement, producers of Broadway and touring productions had to hire a union designer. The first union members were set designers who might also design costumes. By 1936 the union recognized costume designers as a separate specialty. Film designers also emerged in the 1920s. At first, actresses in contemporary films wore their own clothes, "so ladies with good wardrobes found they got more jobs" (Chierichetti 1976, p. 8). For period films, producers rented costumes. The industry moved from New York to California in the 1920s and the studio system replaced the independently shot films of the teens. Designers emerged partly because studio heads wanted their films to have a cohesive look but primarily because the shift from black and white to color film, and from silents to talkies, required costumes especially designed for the medium. The early film distorted colors. Blue, on film, appeared white. Red photographed as black. The early microphones were so sensitive to sounds that only soft fabrics could be used. Crisp fabrics rustled, drowning out the dialogue. By the end of the 1920s, every studio had at least one house designer, a support staff of sketch artists and costumers, and a research department and library. 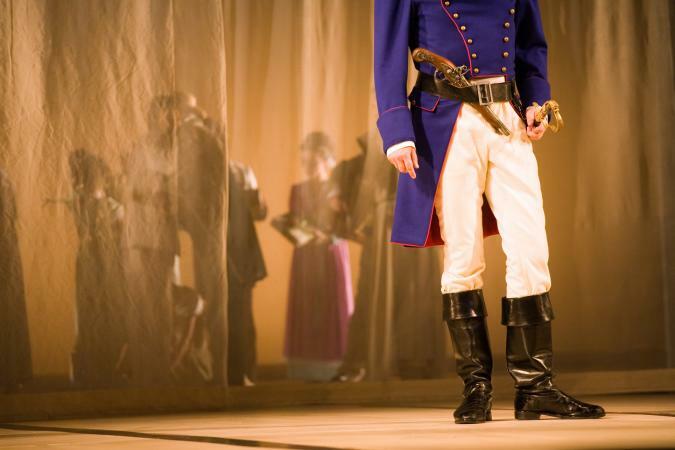 The costume designer is responsible for the head-to-toe look of everyone who appears on stage or on screen. After reading the script, the designer meets with the director and others to debate their approach to the material. Hamlet, for example, has been set in medieval Denmark, in Vietnam, and in contemporary dress. All are valid approaches. With the production concept agreed on, the designer has an interval for research. He or she develops color sketches for every costume worn in the show. Depending on the medium, a variety of people see and approve these sketches. In the theater, the director, producer, choreographer, and sometimes the star will have approval. For film, the costume designer works with the director, cinematographer, and art director in addition to the stars. 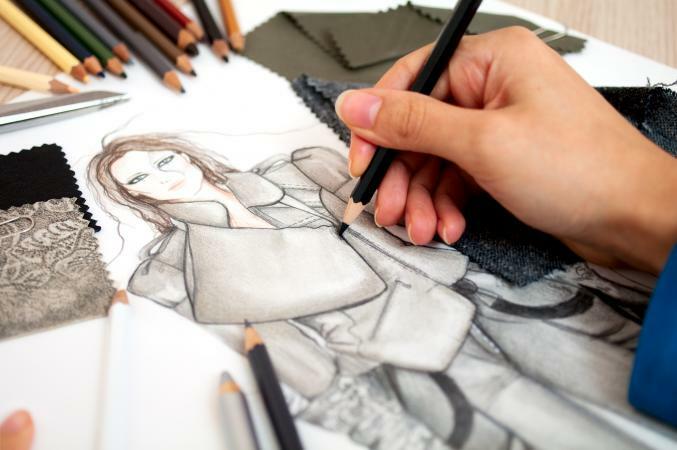 Once approved, the sketches go into the costume shop to be translated into three-dimensional garments. Many regional theater, opera, and ballet companies maintain their own costume shops. All university theater departments do so as well. For other venues, including Broadway and feature films, a range of independent theatrical costume shops submit bids for producing the costumes. Even when contemporary clothes are purchased or come from a rental house, fittings and alterations are performed by the costume shop. With the sketches in the shop, the costume designer and assistants essentially move in for the length of the build time, which in theater equals the length of the rehearsal period, typically between three and five weeks. The practice differs for film and opera. In a university setting, the designers may do their own fabric and trim shopping. Elsewhere, costume shops have buyers whose job is to scour the market, bringing back swatches for the designer's consideration. While the buyers are swatching, costume makers are creating custom-made patterns for each costume, which are then made up, usually in muslin. As each is completed, the actor who will wear it is called for the first of several fittings. An important function of the first fitting is to see that the actor can move well in a costume designed before rehearsals began. Once in rehearsal, the director or choreographer may decide that performing a somersault, despite the bustle gown, is integral to the show's concept. This is the designer's moment to learn that vital piece of information and to adapt the design to allow for the movement. For the 1972 Broadway production of Pippin, for example, director-choreographer Bob Fosse had insisted that the armor be rigid metal. When his designer, Patricia Zipprodt, saw what the dancers had to do, she realized that only something flexible would satisfy his needs. At the first fitting, the designer also has a chance to see if the proportions of the garment suit the performer. At the second fitting, the costume has been made up in the actual fabric to be used. Custom underpinnings, shoes, and millinery are included so that both designer and performer can see the total look. At this fitting all the craftspeople have the opportunity to make adjustments that may increase the performer's comfort or that are requested by the designer. The final fitting is in the completed costume with the expectation that no further work is necessary at this stage. The clothes move out of the shop and into the theater or onto location. Film designers view daily rushes to see how well their costumes work on screen, while a live performance will have one or more dress rehearsals and a series of preview performances before the opening night. The designer attends them all. This is the time when all of the production elements-scenery, lighting, movement, and costumes come together and occasionally what seemed like a good idea in the shop does not work in performance. With an original script, new scenes or musical numbers may be added, requiring new costumes. The designer has only a few days to produce new designs, get them into the shop, select the fabrics, attend fittings, and see the new costumes integrated into the production. The designer's job is finished only when the show opens to the public or when the last scene is filmed. See also Ballet Costume; Dance Costume; Theatrical Costume; Theatrical Makeup. Anderson, Cletus, and Barbara Anderson. Costume Design. New York: Holt, Rhinehart and Winston, 1984. A good overview of the process. Anderson, Norah. "Stage Dressmaking and Stage Dressmakers." New Idea Women's Magazine (November 1906): 12-16. Bentley, Toni. Costumes by Karinska. New York: Harry N. Abrams, 1995. Especially chapter 5 on the design and construction of costumes for the ballet. Chierichetti, David. Hollywood Costume Design. New York: Harmony Books, 1976. The introduction is good on the origins of film design. Ingham, Rosemary, and Liz Covey. The Costume Designer's Handbook: A Complete Guide for Amateur and Professional Costume Designers. Portsmouth, N.H.: Heineman, 1992. Excellent overview of the profession. Jones, Robert Edward. The Dramatic Imagination. New York: Theatre Arts, 1941. An inspirational classic, especially chapter 5, "Some Thoughts on Stage Costume." Pecktal, Lynn. Costume Design: Techniques of Modern Masters. New York: Backstage Books, 1993. Interviews with Broadway and feature film designers including training and working methods.